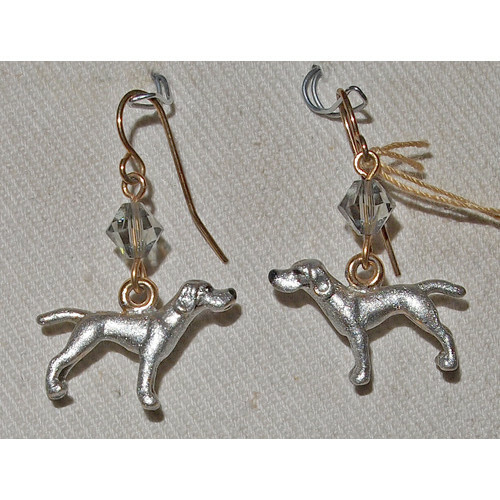 Order handpainted Weimaraner Earrings from Unicorn Design, made of pewter with surgical steel earwire. 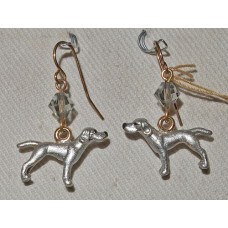 Handpainted earrings with gold plated pewter charms in the shape of Weimaraner dogs. The dogs are painted silver metallic. Above each charm is a Swarovski crystal bicone bead in the color Black Diamond.